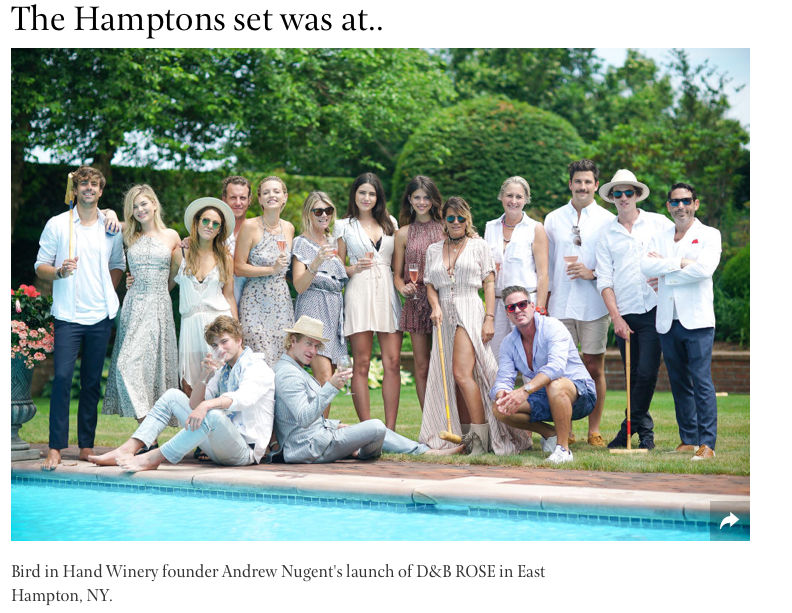 Australian's aplenty stormed the beaches on America's birthday crowding into Bird In Hand's East Hampton Estate having nothing but wine on their mind. 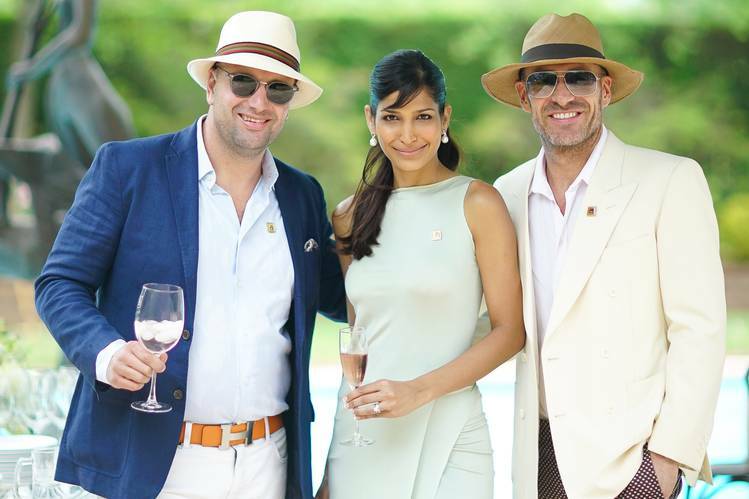 Pouring inside the 1920's Chateau Marmont-like property, Bird In Hand bottles were bestowed on behalf of founder and Australian Winemaker of the Year Andrew Nugent's splashy Fourth of July arrival. Produced by WORKHOUSE, the gathering boasted an Oz-fest of Aussie's including photographer Ben Watts, cricketer Shaun Tait, daughter of former Australian Prime Minister Paul Keating Alexandra Keating & step sister Gigi Penna, Moby's owner Nick Hatsatouris, fashion designer Dan Single who collaborated with Bird In Hand on the creation of the D&B Rose bottles with wife Bambi, Australian models Georgia Fowler, Megan Irwin, Jordan Barrett, Matthew Bourke, Luci Taffs, Gabriela Langone, Douglas Joseph, as well as, the founder of New York Fashion Week Fern Mallis, Staci Dover, Oliver & Sasha Benz (Surf Lodge Creative Director), Jene Lombardo (Terminal Presents), Workhouse CEO Adam Nelson, Sharon Ainsberg (Sho&Co), Actor Aku Orraca-Tetteh, Hollywood Executive Howard Rosenman, writer Jeff Slonim, Wall Street Journal's Marshall Heyman, and Lyman Carter.